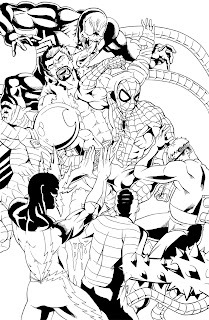 I am happy to share this drawing with you all in the wake of Amazing Spider-man #700 and Superior Spider-man #1. 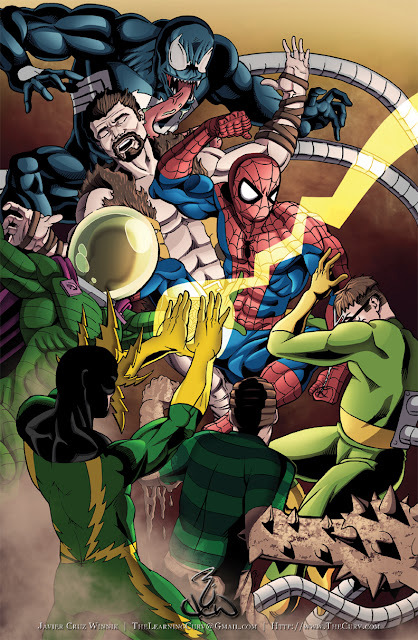 I found it to be pretty funny that the first villain Spider-man faces is a new Sinister Six, as apposed to a group trying to name itself the Sinister Syndicate, and that they were so easily defeated. 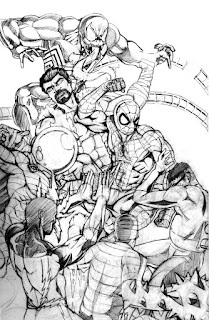 To Spidey's credit, he did bump up his crime fighting tactics as well so I can't be mad at that. 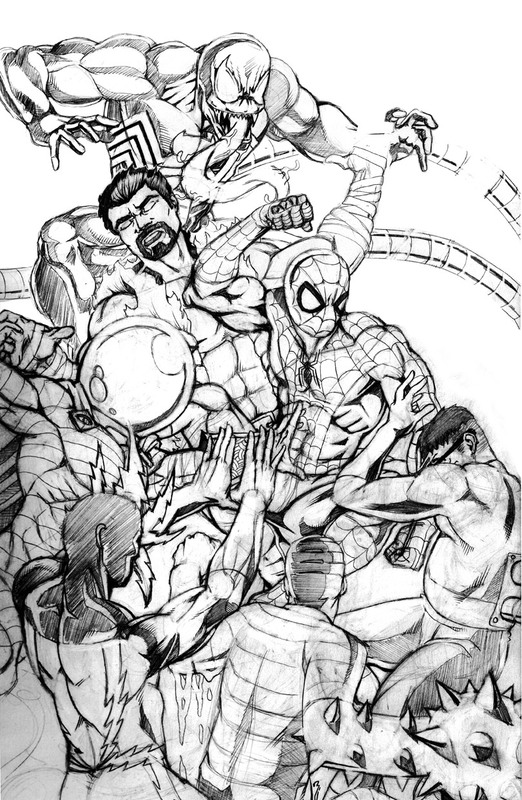 Here you see the inks to the piece, done as a composite since I did this in my sketcbook. Every once in a while I am asked to do portraits or combinations of someones face with a specific character. This is another example of that being done. 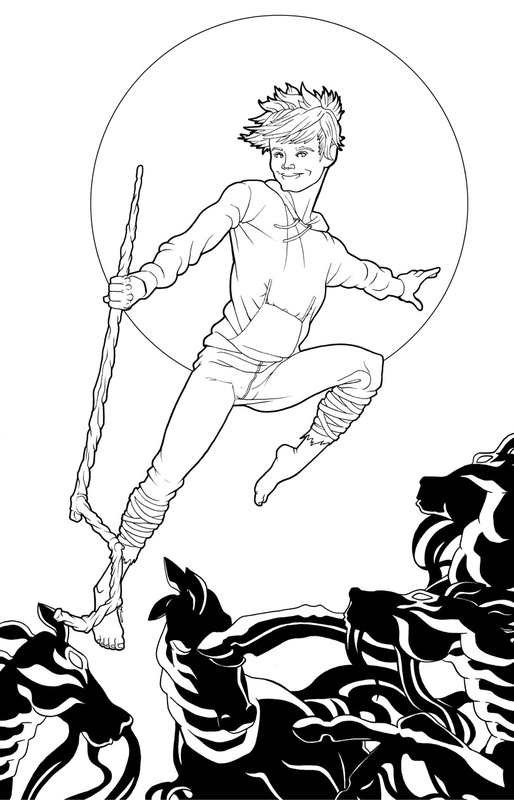 The woman who asked for this had me use her nephews face as a reference. She then wanted me to use that reference in combination with the original character and create an illustration from the two. 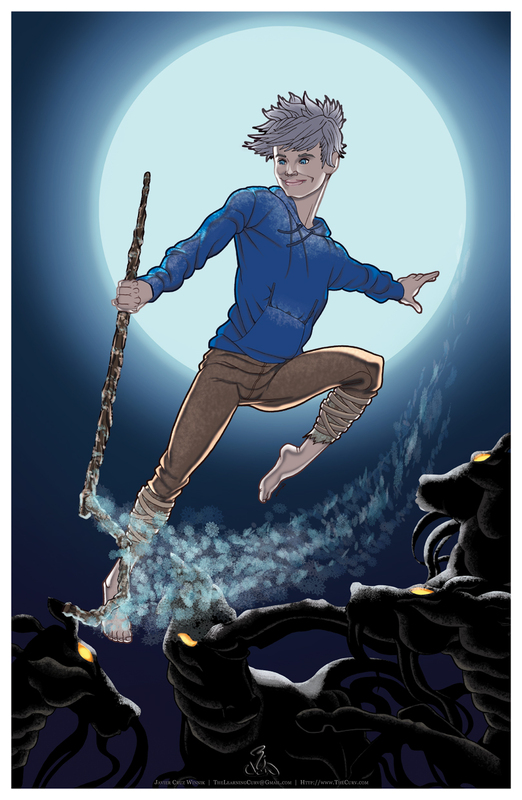 After seeing the movie "Rise of The Guardians" from which this is based on, I figured having Jack Frost engaging some of the constructs that he fights was a good way to show some action. 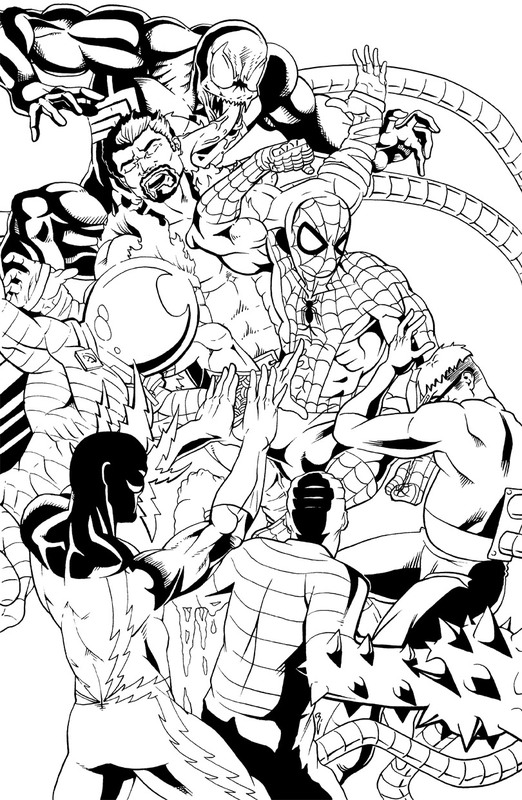 Here are the inks for the original drawing. After presenting the colors, I was asked to soften up the jawline and make the eyes larger in order to make the face look more youthful.